I don't think Garfield would mind this. Last night I went to a friend’s birthday do and so didn’t cook. I believe The Boy had something from the fridge to eat – but he can’t remember what. Sigh. Today we went to visit some peeps in another town and I made some Hidden Treasure Muffins to take with us. They seem to be on high rotation lately. As a result, I need to add condensed milk and muffin cases to my list for next week. When we got home, I was close to death from this virus that seems to have me in its clutches, so I really didn’t feel like preparing anything. However, we had the leftover meat sauce from Wednesday night in the fridge and the ricotta that I didn’t use at the pasta-making class, so I combined the two. 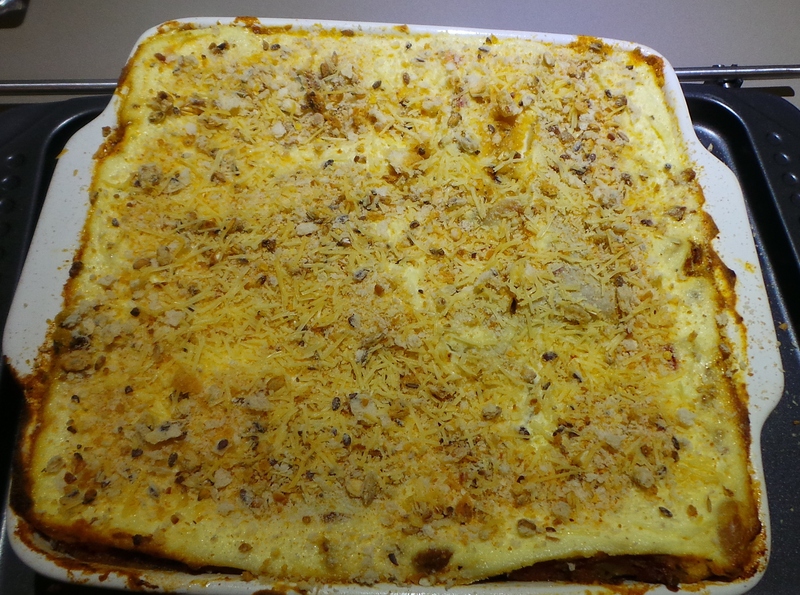 I layered the meat sauce with the ricotta and some pasta sheets into a lasagne-type arrangement. Then I baked it for 40 minutes or so, before scattering breadcrumbs and shredded parmesan over the top. It was baked for a further 10 minutes and then served. I can’t say I was impressed with it – the ricotta really didn’t hit the mark as a bechamel sauce substitute – but it was adequate. I don’t think Garfield would mind this. Our tummies were full of something wholesome and I get to go to bed happy. 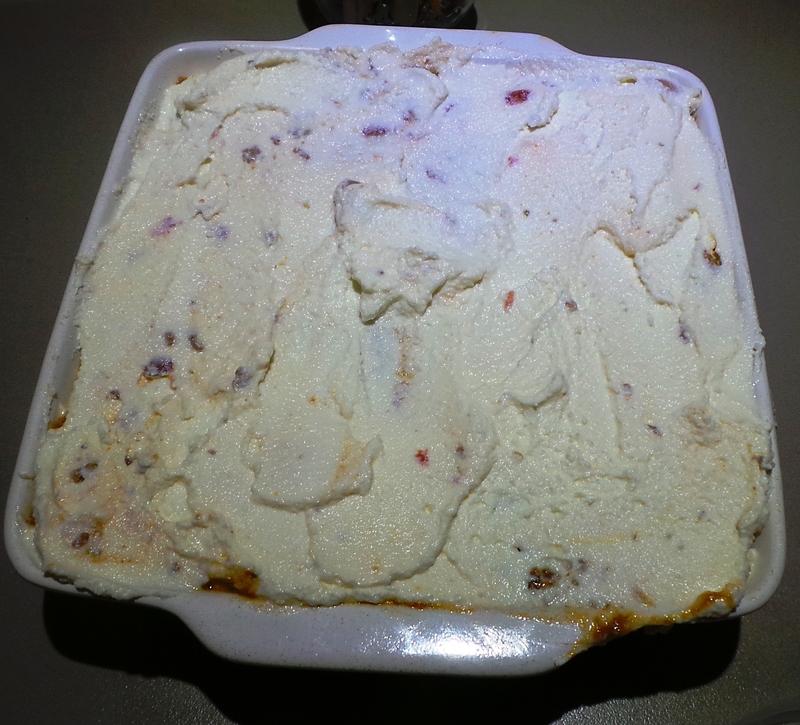 There are now two serves of this in the freezer as well for future unplanned-for meals. 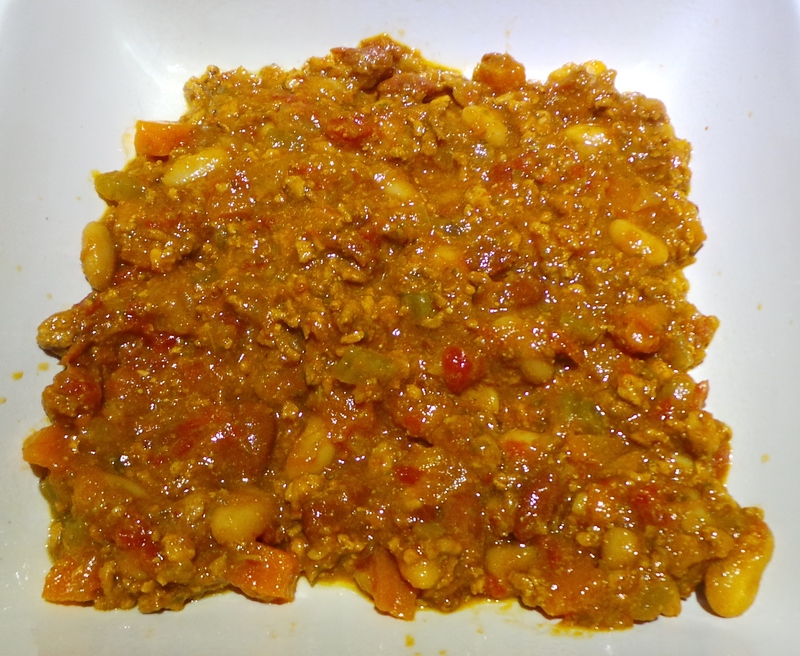 Tomorrow I hope to publish a post on cornbread cobbler, which is a great way of stretching out a stew or chilli or even of rehashing it; as I just did with this meat sauce. Don’t hold me to it though, my throat is on fire right now….